Carpet can begin to ripple for several different reasons. The most common reason carpets ripple is because of poor installation. In these cases, a knee kicker was used to install the carpet instead of a power stretcher. A knee kicker should only be used when you are tacking down carpet at the edges or other small spaces. Our customer needed the carpet stretched in a few different rooms inside his home. 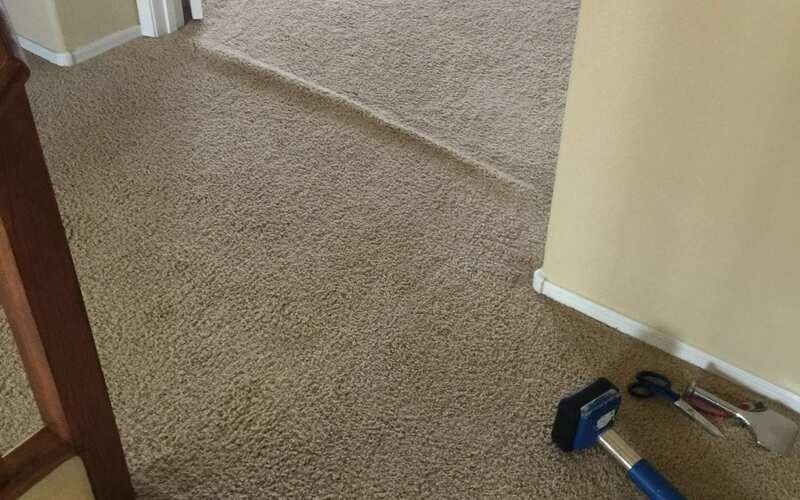 If you do not want this problem to keep recurring, then the carpet must properly be stretched with a power stretcher. When using a power stretcher, all furniture must be removed from the room. If you are not able to move the furniture out the room prior to us arriving, then we can bring a moving company with us to your home.